Very inspiring to see Annette Verschuren, chair and CEO of NRStor Inc. and CBU Chancellor, participate in a round table discussion with other women executives from the United States and Canada. 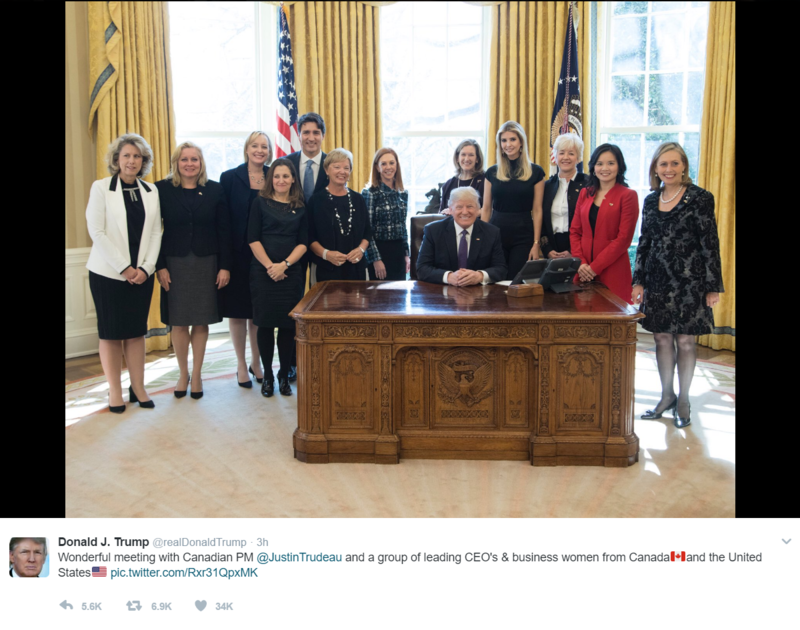 The President of United States, Donald Trump, tweeted the picture and also made comment of the exchange with female executives during a press conference. Not in the picture, but very important person, Bridgeport's Gerald Butts is the senior political adviser to Prime Minister Justin Trudeau and can be seen in tweets today from the Vice President of the United States. Well done Team Canada. Its great seeing females taking center stage, with women starting companies at double the rate of men, highlighting women lead companies on the 4ULOCAL platform will be very important feature on the new ecommerce platform. Diversity today is key. Not just women, Indigenous entrepreneurship are growing at five times the rate of the general population, and newcomers more likely to start businesses than those born in Canada, our creative and entrepreneurial community is growing and diverse. Rural, remote and small communities are diversifying their economy through entrepreneurship, and while tech often receives the most attention, entrepreneurship is also growing in products across sectors including arts, cultural industries, a key target of 4ULOCAL. As time goes on and the platform grows, 4ULOCAL will become a key channel for all of these groups, to aggregate under a single domain. Customers will be able to sort on products according to affinity with identified groups and/or select products based on place, whether in downtown Toronto or Dominion, Nova Scotia. In other news, 4ULOCAL also picked up a tweet heart from Minister of Environment and Climate Change, the Honourable Catherine McKenna on a tweet about its triple bottom line approach and sustainable shopping. You can sign up for the yet to be released application at 4ULOCAL.COM. 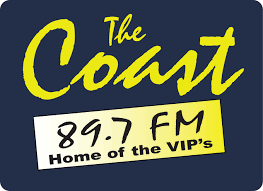 Posted by Allen McCormick on goCapeBreton.com where you can find and share everything about your local community. Hey Darren: Thanks for joining the party! I always knew Capers really controlled the world. Turns out there were four Cape Bretoners in the mix: 1. Annette Verschuren, chair and CEO of NRStor Inc. and CBU Chancellor, 2. Deborah Gillis, Catalyst CEO who is a native of Port Hood, and voted #10 on Canada’s Most Powerful Business People in 2016, 3. Bridgeport's Gerald Butts is the senior political adviser to Prime Minister Justin Trudeau, 4. New Waterfords Darren Larade - The man behind the camera for C-SPAN. He was in the room above and shot the Trump coal mining video, among others very cool shots in and around DC. All very cool stuff.